Clow Roofing & Siding is a family held company that has provided the neighborhoods of the Portland-metro area with sound workmanship, quality products and trustworthy relationships. Clow was established in 1922 as a manufacturer in Tacoma, Washington. The company then opened a retail shop in Portland, Oregon. In 1928, the company was purchased by Luther Wells whose original plan was to re-shape the organization and then sell it off. He was, however, unable to sell it, so he decided to stay the course and maintain the business. Luther ran Clow Roofing successfully on his own for many years, his son Irving then joined him in 1945. Irving had new ideas for Clow, one of them was introducing siding as one of their offerings. This was a game changer for the company and the spring board from which their success was launched. It was important to both Irving and Luther to be involved and active in the community. 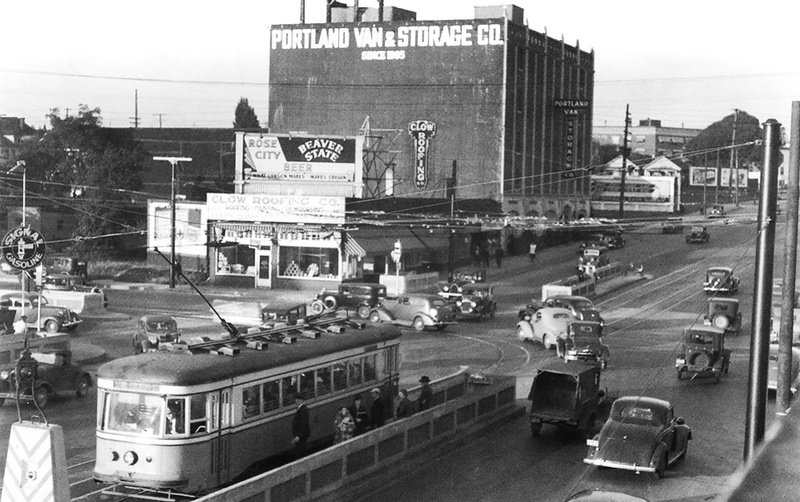 They wanted the Clow name to mean something and to be thought of as a reliable partner to the people of Portland. 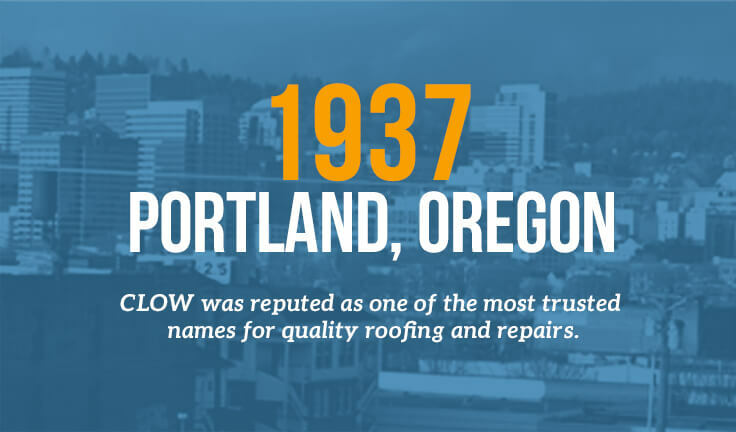 But more importantly, they wanted to establish a company policy that today still rings true – if any Clow Roofing job has problems and the roof is not worn out, Clow Roofing will always make the repairs free of charge. Irving Wells’ son-in-laws John Hansen and Dennis Baker joined the company in 1973 and 1977 and the tradition set by the original leadership continues with sons Jeff Hansen and Doug Baker. Because of this long standing commitment and reputation of doing things right, there are three Clow rooftops per city block. And counting.